The airline is aiming at a figure of 100 employees for every aircraft, which at one point was as high as 250. 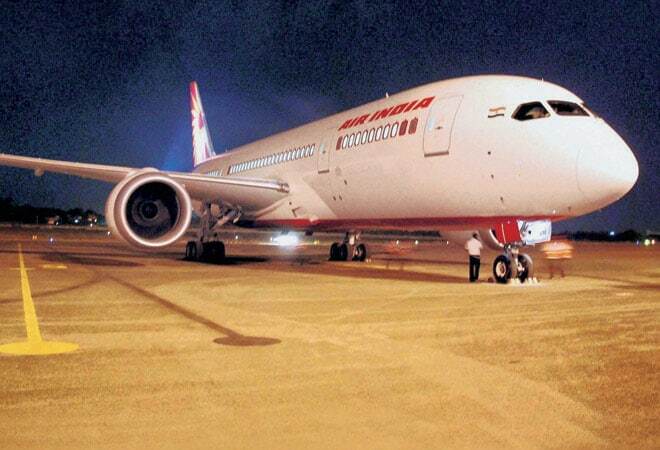 With the new government mounting pressure on the Air India (AI) management to turnaround the loss-making airline, the national carrier has decided to cut its costs by Rs 1,400 crore (US $227 million), or about 6 per cent of its total outlays, in the coming financial year. Air India, which controls close to a fifth of the domestic air travel market, has been losing money for years and has long been criticised for its high costs. In 2012, the government handed the airline a bailout package worth US $5.8 billion. The AI management has announced a 10-per cent cut in allowances for its staff for travel and telephone bills, abolition of posts from non-operational areas and scrapping of flights on chronic loss-making routes. "Stay in five-star hotels for pilots and cabin crew or holding official events has been restricted and is to be undertaken only if is completely unavoidable. The budget for such activities has been reduced by 10 per cent as part of the cost-cutting measures," a senior AI official told Mail Today. The crew has been asked to stay at hotels near airports. These hotels are good and much cheaper than the more expensive hotels. "We have also made arrangements with these hotels to serve Indian cuisine. Hotels near airport also entail lower transport costs and the crew can reach the airport in a shorter time. This is also the practice of other airlines," the official added. AI hotel bills for overseas flights to destinations like New York, London and Paris are expected to come down significantly. AI has a 22,500-strong workforce as against 33,000 at the time of merger of erstwhile international carrier Air India and Indian Airlines. Senior officials said once the hiving-off process of AI's engineering and groundhandling subsidiaries get operational and some 11,500 employees are transferred to the these two companies, the airline would have only 11,000 employees by the next fiscal. This is expected to bring down the wage bill significantly. AI is aiming at a figure of 100 employees for every aircraft, which at one point was as high as 250. The management has also indicated that posts in non-operational areas should be frozen or abolished. The AI official told MAIL TODAY that no fresh recruitment is being done in non-operational departments such as administration, marketing and finance even to replace those who have retired.